German exchange student Leonie Schmidt talks about her internship experience at Bergzicht Training and the reasons she believe that “empowering young people and guiding them into secure employment is one of the most difficult, yet most important tasks for contemporary South Africa”. In 2015, Leonie Schmidt, a 22-year old German exchange student in Psychology from the Philipps-Universität Marburg spent a year at Stellenbosch University following courses in Psychology and Political Science while completing her BA thesis. 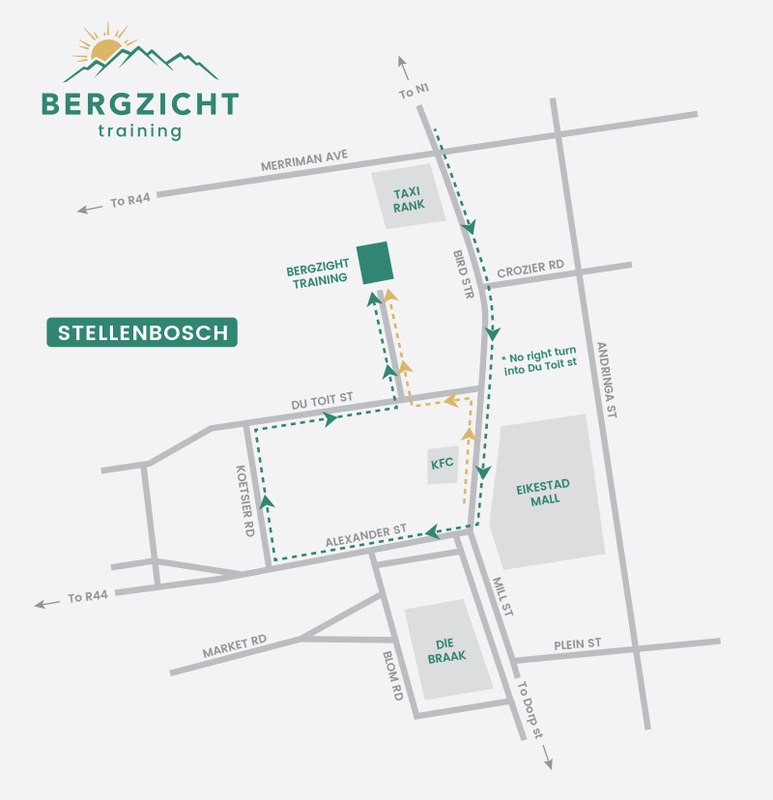 Her visit to South Africa would lead her straight to Bergzicht Training’s offices in Stellenbosch, where she would spend the next six months assisting Bergzicht with administrative tasks, placement interviews, researching funding opportunities and at functions. According to Leonie, her main purpose for visiting South Africa was to focus on her studies, however, she also felt “it was important to learn more about South Africa outside the university” environment. 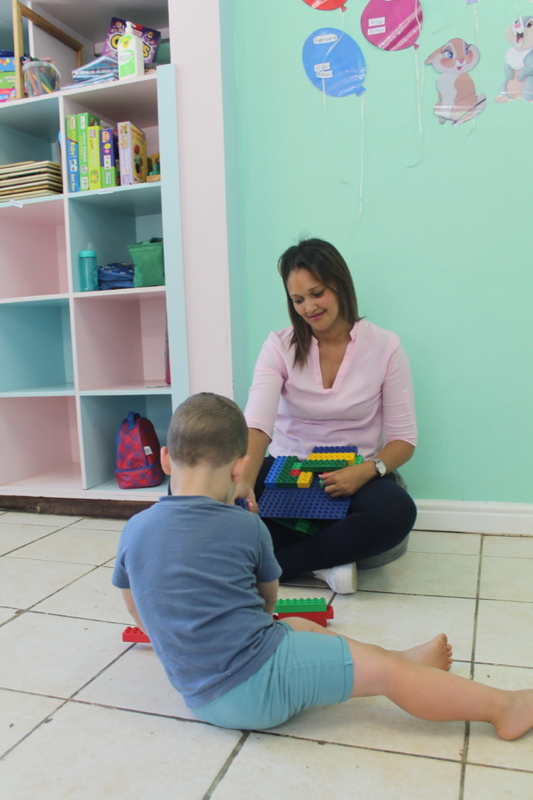 After approaching a student from Belgium, who was volunteering at Stellenbosch Municipality at the time and had access to a list of organisations in Stellenbosch that required volunteers and interns, Leonie was advised to offer her skills to Bergzicht Training. This decision, says Leonie, would contribute to her personal development in ways she could not have imagined. 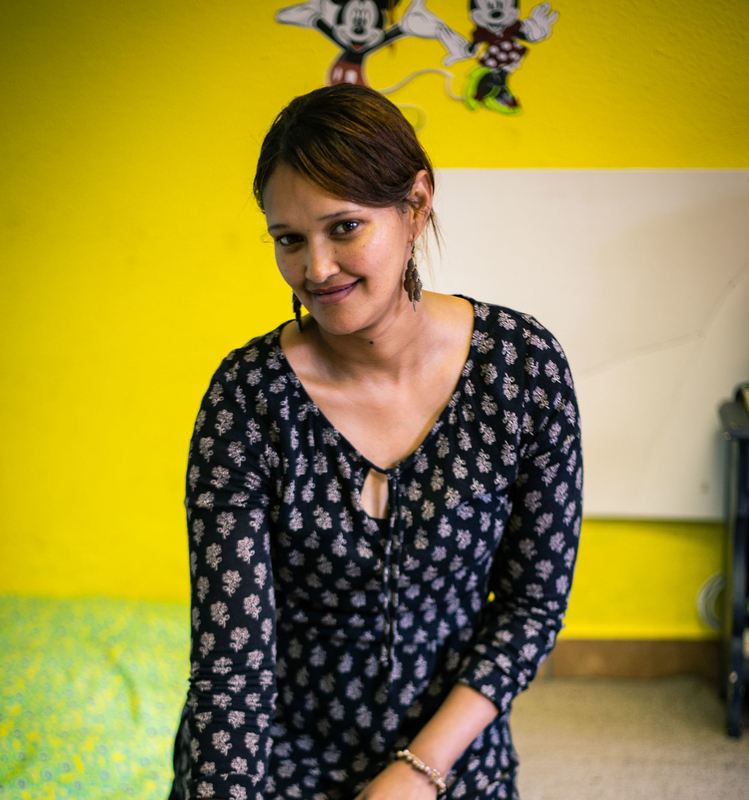 “Bergzicht Training offered me an insight into South African society and gave me the opportunity to get involved with young and highly motivated people escaping unfortunate circumstances and making a difference in their own lives. I knew that I liked working with people, but while at Bergzicht I realised that working with young people and especially with groups (for example facilitating a group during the “intercultural skills” session of the Life Skills course) can be a lot of fun. I know that for now I want to focus on my research, but later I can definitely see myself working with groups and young people as a psychologist,” says Leonie. Back in Germany again, Leonie says that she still shares stories of her experiences at Bergzicht with friends and family. For this reason, Leonie believes that NGOs like Bergzicht has a huge role to play in addressing major social issues in South African society today. 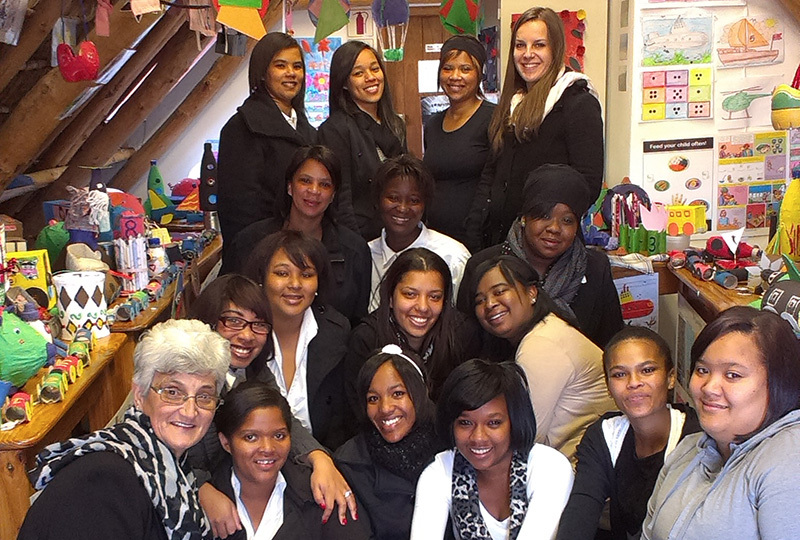 To students who wish to volunteer at Bergzicht, Leonie has the following advice. Before Leonie left she was able to also witness the graduation ceremony of students she had got to know intimately while assisting with interviews during the selection rounds for the Home Management Programme. Photo: Ms Leonie Schmidt (back row, far right) and Edu Care facilitator, Ms Charmaine McLaren (front row, far left), with one of the Edu Care student groups in 2015.